The administrative offices of Pakistan’s Mohmand tribal agency were hit by two suicide bombers on motorcycles on Monday, killing as many as 51 persons and wounding 120. The Taliban Movement of Pakistan [Tehrik-i Taliban Pakistan or TTP] took responsibility for the attack, which appears to have been intended to disrupt the planned formation of a Pashtun anti-Taliban militia. Tribal elders and members of peace committees had assembled at the agency headquarters and were among the killed and injured. Some of the casualties were reporters, including the eminent journalist Pervez Khan Mohmand. Informed Comment depends heavily on local journalists, and their deaths are mourned. 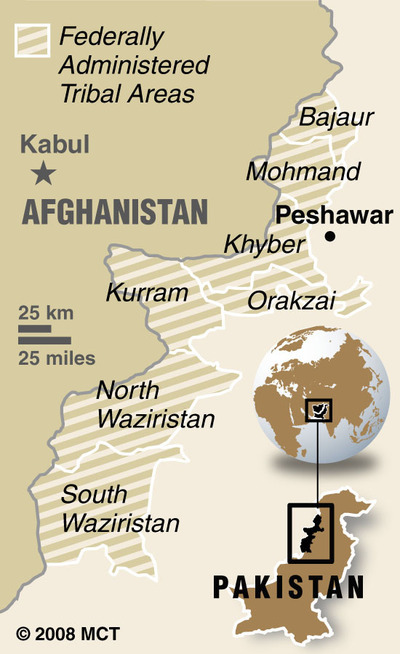 Since the Pakistani Taliban offer support to Afghan insurgents across the border, and sometimes raid into Afghanistan, their spread in FATA is a security concern for the Obama administration’s Afghanistan War. The formation of anti-Taliban Pashtun militias has been promoted on the Afghanistan side of the border by Gen. David Petraeus. Pakistan announced similar plans in October, 2008. In November, 2009, last year this time, it was revealed that the US was funding the establishment of such militias in Pakistan’s FATA to the tune of millions of dollars. Mohmand is a northern unit of the Federally Administered Tribal Areas (FATA), which are vaguely analogous to Native American “Indian Reservations,” directly ruled from Islamabad without a local legislature. The TTP has blown up 70 schools in the Mohmand Agency during the past 3 years, including 23 girls schools– the most recent such attack having been on Dec. 3. The Taliban in Mohmand are thought to support themselves in part with heroin factories, one of which was recently broken up by local police. 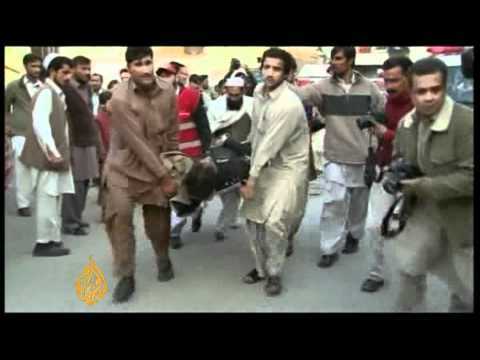 TTP leader Baitullah Mahsud was killed by a US missile strike in August, 2009. His successor, Hakimullah Mahsud, survived a similar strike last January and was been seen on video in May. As a social historian, I found the role that the cable highlighted for Mahsud tribesmen originally from South Waziristan and Uzbek militants even in distant agencies like Mohmand to be indicative of a sub-ethnic skeleton to TTP throughout the Federally Administered Tribal Areas.